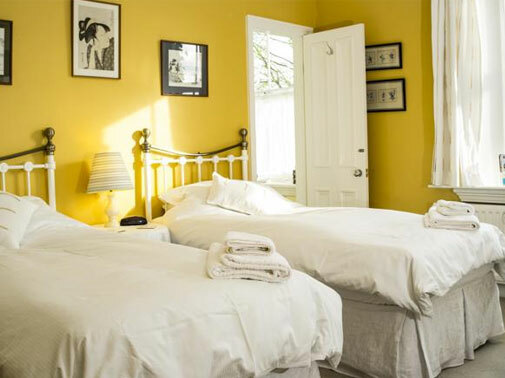 We pride ourselves on the comfort and tranquility of the rooms we offer, with quality linen, fluffy duvets and fluffier towels. They each have their own character, so one is bound to suit you. To book, just call us on +44 (0)1388 762 473, and we'll sort it out for you. Alternatively, use the secure online booking facility, or use our Contact form. Fluffy, warm duvets in crisp cotton covers. If you prefer a softer bed, tell us; we have mattress toppers that can be fitted to these beds prior to your arrival. 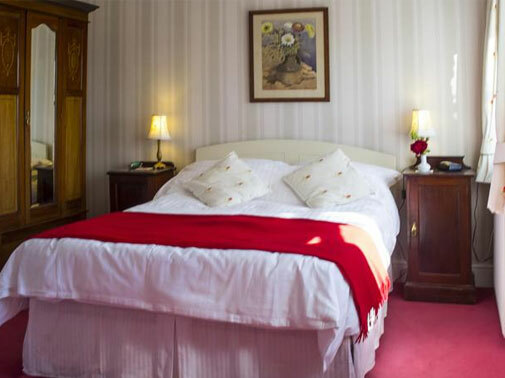 The Pink Room is a luxury double bedroom with a king size double bed and a proper bath. The Green Room is a luxury twin room, which, for a supplement, can be converted to become a SuperKing bed.